Dancing trends have always been a thing. You may know more of the recent ones, but we can’t forget about the dance routines that started it all. So, in honor of National Dance Day, we at the Clog present to you some of our favorite dance crazes through the past decades. While there are many dance moves before this, the ’50s were where dancing seemed to really go off the rails. For this, we can thank none other than our rock ‘n’ roll stars. The ladies went crazy for Elvis’ gyrating pelvis (although we at the Clog think he may have just been trying to disguise some junk adjustment). The hand jive was in full motion. Parents couldn’t subdue their rebellious jitterbugging teens. What a time to be alive. Think of dancing in the ’60s. Does an image of some grungy hippy swinging their hands around pop up? We’re pretty sure it does for most people. The psychedelics definitely allowed people to let loose when listening to music, but the organized dances seen previously were still hanging around. One of the most popular was the mashed potato — obviously not a very popular dance for the counterculture movement. After the hippie movement burst into flames, the world said, “LET THERE BE DISCO!” We still know many of these dances today, immortalized in awkward dancing parents around the world. All it takes is one Bee Gees song to play at a wedding, and you can see them all: the hustle, the YMCA dance, the bump, the funky chicken. 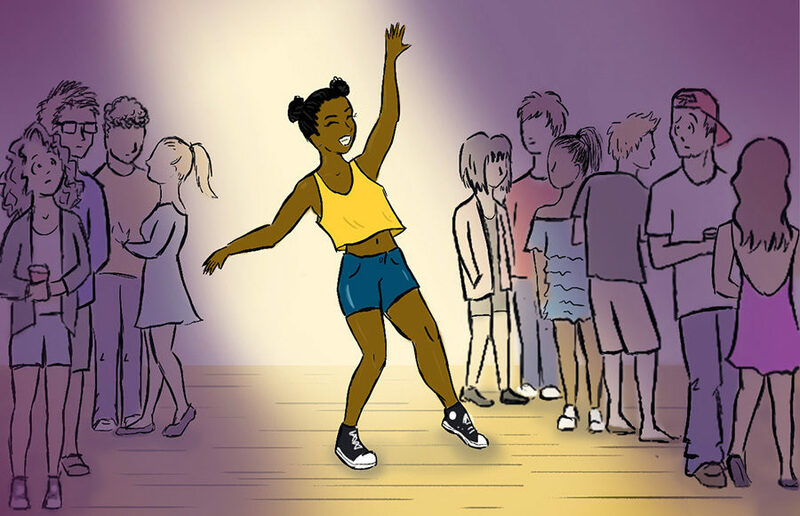 So if you’re looking to freshen up your dance moves the next time you’re going out, make sure to take a look at some of these groovy moves. Those who made it out of the ’70s alive probably thought that the dancing couldn’t get any worse. They were wrong. Let’s start with the electric slide. We all pretend to know it. It’s popped up in our lives at one point. The synchronized dance that seems to go on forever. Anyone who’s smiling while doing this dance is lying to themselves. Past that nightmare of a group activity, many other moves were made popular by the King of Pop himself: Michael Jackson. From good ol’ MJ we got the moonwalk, the pelvis pop and that weird circle hop thing where he threw his hat out. You know what we’re talking about. When thinking of ’90s dances, you might imagine a particular few. The first: the Macarena. This scripted dance is forever engrained within our brains. It popped up at every birthday party and school event when we were all just kids boppin’ around elementary school. Sad to say though, this song is about some woman cheating on her boyfriend with two other guys. Childhood ruined. Now that we have covered some of the best dances throughout the past decades, go out and show your friends what you got. Happy National Day Day!